We’ve had some hot days in Delaware lately. Hot as in 101 degrees with humidity. When it’s that hot, there’s nothing more I want to do than sit inside my air-conditioned house. Unless, of course, I’m invited out for ice cream. 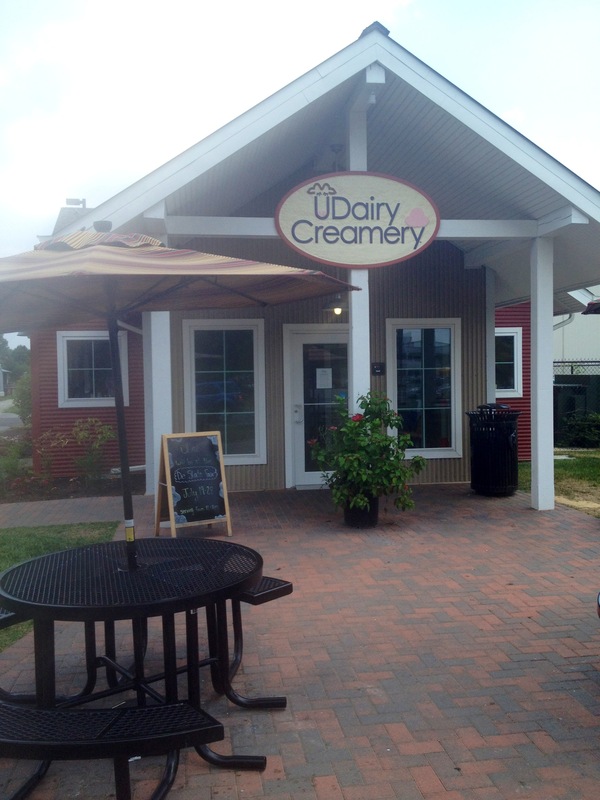 Last week it was a family affair when my mom, my dad, my nephew Ethan, the husband and I headed to UDairy Creamery on University of Delaware’s campus. Can you see the humidity in the air? The College of Agriculture and Natural Resources dairy farm provides the milk for the store. About 100 Holstein cows are milked twice each day, and the milk is sent to Hamilton, NJ to be pasteurized and made into ice cream base. 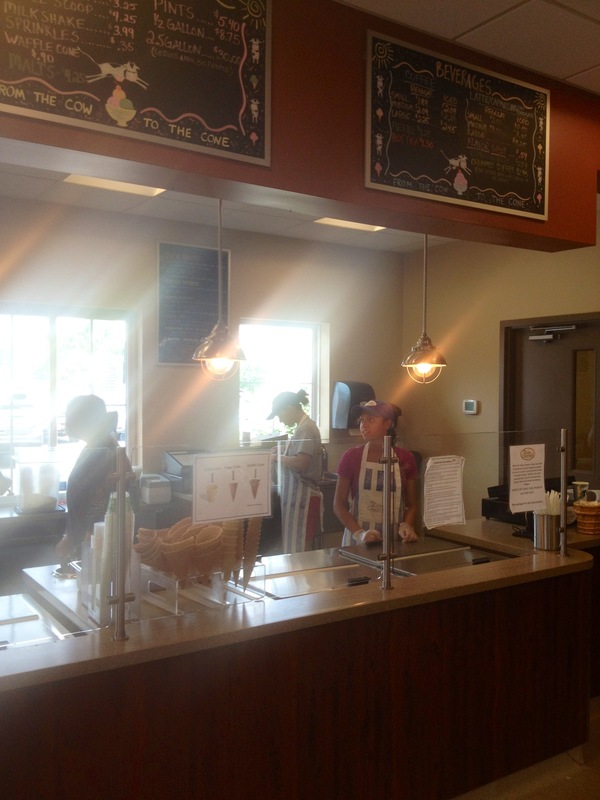 Back at the UDairy Creamery, the thick base is transformed into the bevy of flavors seen on the menu board. My nephew Ethan, a regular at the place, settled on his favorite, Orange Cream. He was gracious enough to let me have a taste (on an unlicked part). Delicious! Seeing as corn is in season this time of year, I was intrigued by the Corn on the Cone flavor. Corn ice cream! Sounds weird, but it was heavenly. 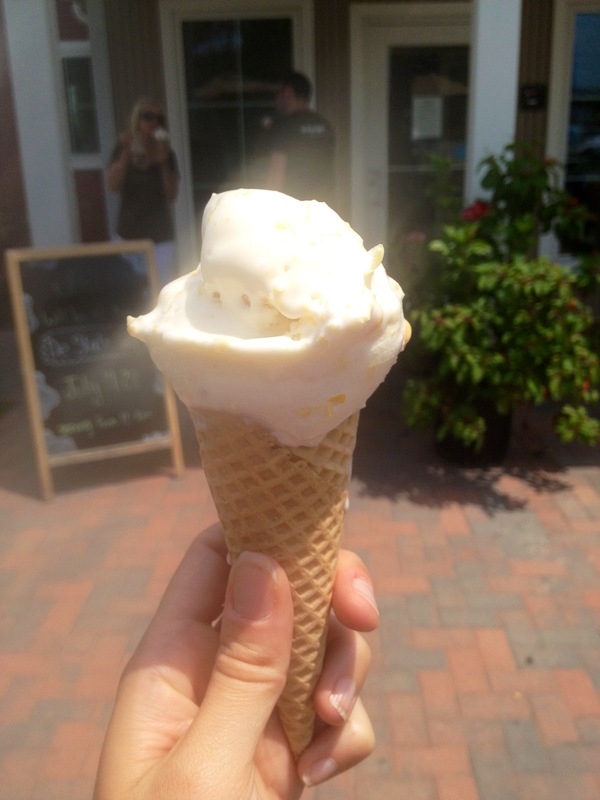 Sweet, but not too sweet, creamy ice cream with corn kernels thrown in for authenticity. Surprisingly delightful. My mom lucked out and chose the best scoop of the day, First State Cobbler–peach ice cream with blueberry swirls and cinnamon cobbler pieces. I wanted to snap a photo but the air was so hot, our cones melted fast. We grabbed a bunch of napkins and booked it to the car. I’ll be back on a cooler evening to enjoy the patio, but until then, I can always order a pint (or three) to enjoy in the air-conditioned comfort of my own home. Walk up or eat inside. This place is cute! I love these photos and your background pic. I just had to start following your blog. Hi Brad! Thanks for the compliment and the follow! Holy corncobs, that sounds yummy! I grew up in Nebraska, home of the Cornhuskers — how in the world did I grow up not eating this? haha! I knew it was the football team. 🙂 But then that got me thinking about corn husks and shucking them. I think maybe you were just too intelligent for the joke; it is a little elementary (but really funny when you’re shucking also drinking mojitos). corn on the cone, very clever name and probably the oddest one I’ve ever heard! perhaps not the thing to have on a first date then!! LOL! That sounds fab. I made a beet goat cheese ice cream once that was quite good. We had ice cream yesterday from the Salt & Straw ice cream push cart at a farmer’s market in Portland, some of the best I’ve had — sea salt with caramel ribbon. Would’ve liked to have tried the pear with blue cheese and the Oregon rocky road with candied hazelnuts and honey marshmallows. I’ve only ever made coconut ice cream. It was delish. Now I want ice cream. Whoa. Corn on a Cone. That actually sounds amazing. The name also reminds me of Beavis and Butthead (“CORNHOLIO!”), which works somehow, too. Luckily it hasn’t been hot over here at all, right? Oh! And guess who’s going to Long Island this weekend and FINALLY going to have a lobster roll?! Peppermeister just asked me to make sure I found a place that had them. Pah! As if I hadn’t researched this the second I found out we were going! You must take photos of said lobster roll. 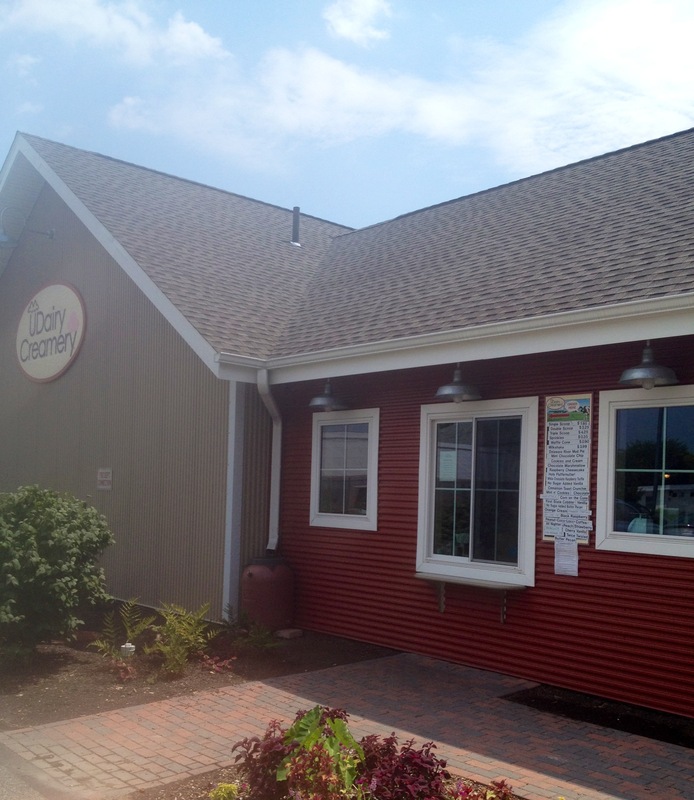 We will compare the Cape Cod version to the Long Island version. Have fun on Long Island! I hear the iced tea there is really good (wink wink). 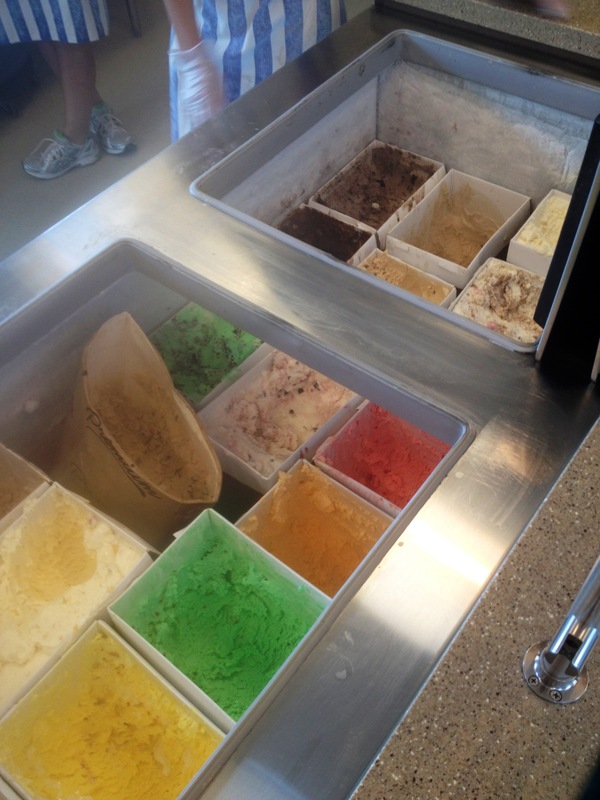 Debaucherous icecream is always better! I actually don’t cook much with corn. Although I do make a nice herb and olive oil pan fry dish, but now I’m wondering about corn flavors… I bet a corn beer might be nice if done with the right hoppiness! Into any microbrews? I’ve never heard of corn beer. I have a friend that microbrews. Honestly, I’m not a fan. But we do have a couple great craft brewerys around here, including Dogfish Head. O Dogfish Head is good. Apparently Long Island has become one of the hot microbrew scenes in the past decade; so when in a microbrew hotspot might as well indulge! Love your local promoting btw. Nothing quite like local eggs. You must have some nice fresh produce by you! Thanks! I’m a big fan of Sam Adams Summer Ale. I look forward to it every year. Dogfish Head def has some good ones, too. I’m not a fan of IPAs at all. Maybe I’ll have to work my way up to that.